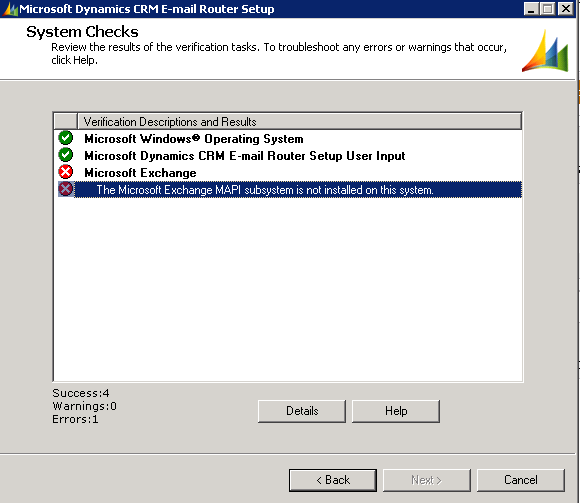 And it displayed an error "The Microsoft Exchange MAPI subsystem is not installed on this system." Here is the Microsoft KB Article that helps you resolve just this. Your installation must run smoothly thereafter.